After too long of an interval, it’s time once again for an in-depth inspection of a Redwood City neighborhood. 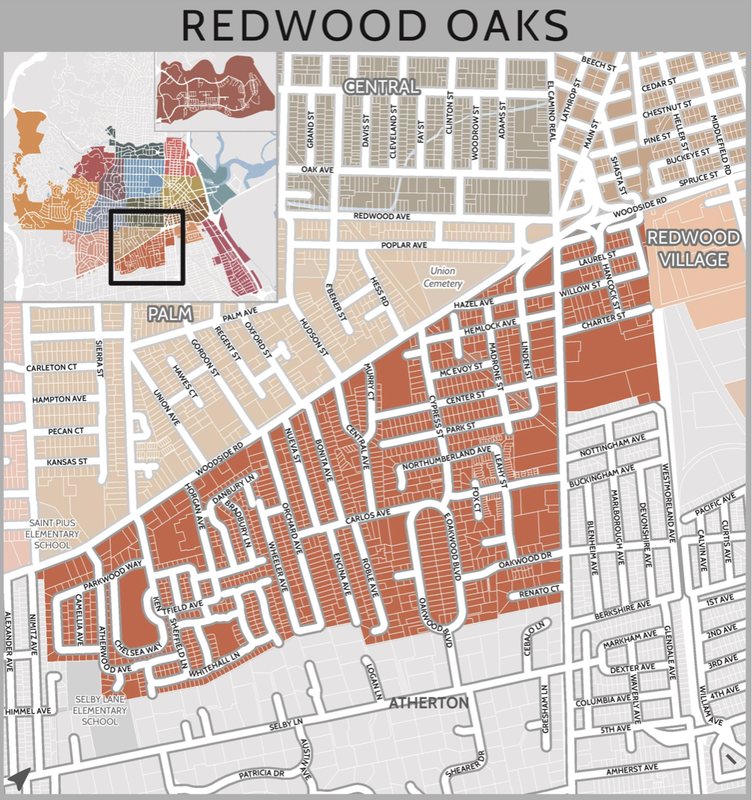 This week, I’m presenting the ninth (out of seventeen) of Redwood City’s neighborhoods, Redwood Oaks. As you can see from the above map, Redwood Oaks is that part of Redwood City that lies below Woodside Road, running from Nimitz Avenue on the west (just across Woodside Road from Saint Pius Elementary School) to the Caltrain tracks on the east. Because of the odd way that Redwood City’s border behaves, on the west side of El Camino Real the neighborhood (and the border) runs all the way down to Renato Court, which thus includes not only the Atherton Park Inn & Suites, but also the tiny shopping center that is home to Jackson Square Fine Jewelers. On the east side of El Camino Real, on the other hand, Redwood City’s border only runs down to encompass the larger shopping center that contains our Target store (among many others). Everything beyond that (shown in gray on the map) is an unincorporated part of San Mateo County. This section of El Camino Real is an important part of the Redwood Oaks neighborhood’s identity, as is the part of the neighborhood that sits along Woodside Road. Redwood Oaks is a mix of retail businesses and housing of a great variety. Along El Camino Real there is the aforementioned Target shopping center, but there are also a number of independent businesses, not least of which is University Art, a fantastic place to get art supplies, to take art classes, and to have custom framing done. 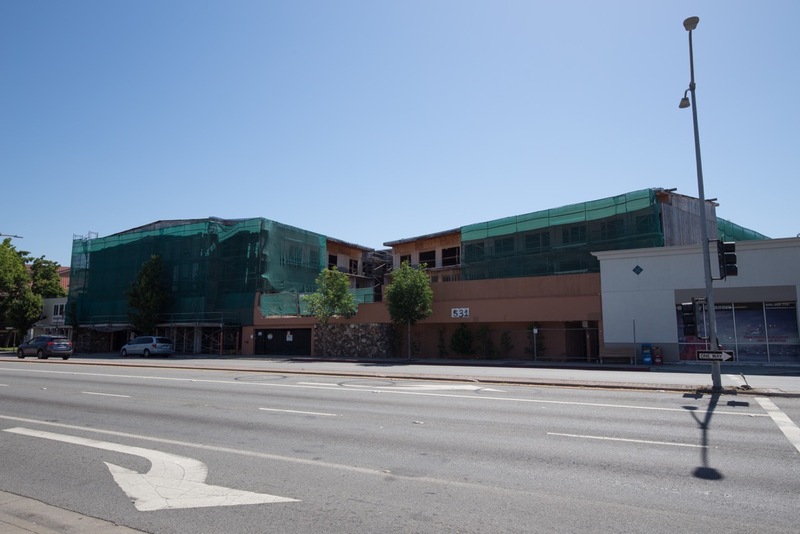 University Art sits just across the Hetch Hetchy right-of-way from Oakwood Redwood City, an short-to-medium-term stay apartment building (mostly for corporate clients) that several years ago replaced Mel’s Bowl, one of Redwood City’s long-lost entertainment venues. This mix or housing and retail along El Camino Real is mirrored along Woodside Road: in addition to a number of small and chain businesses on the south side of the street (the businesses and housing along the north side of Woodside Road are part of the Palm Park neighborhood), you’ll find a variety of multi-family housing options (and a couple of single-family homes). 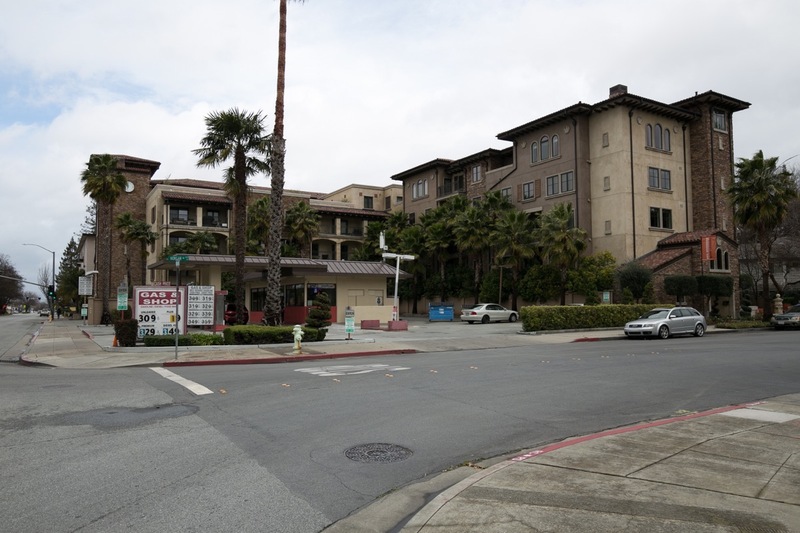 For instance, Brookdale Redwood City, one of Redwood City’s largest senior living centers. Or, there is 885 Woodside, a luxury apartment building that sports one, two, and three bedroom apartments ranging in size up to a whopping 2495 square feet! And there is of course the affordable Hallmark House apartment building, which burned several years ago and has been sitting idle in a partially repaired state for quite some time now. Fortunately, it does appear that 2019 is the year that work on this project will once again resume. Curiously, if you take a close look at the neighborhood map, you’ll realize that the above apartment building is in the Redwood Oaks neighborhood, but that palm tree and the little house you can just make out behind it are not: the remainder of the homes along Nimitz Avenue are not only not in the Redwood Oaks neighborhood, they aren’t even in Redwood City. 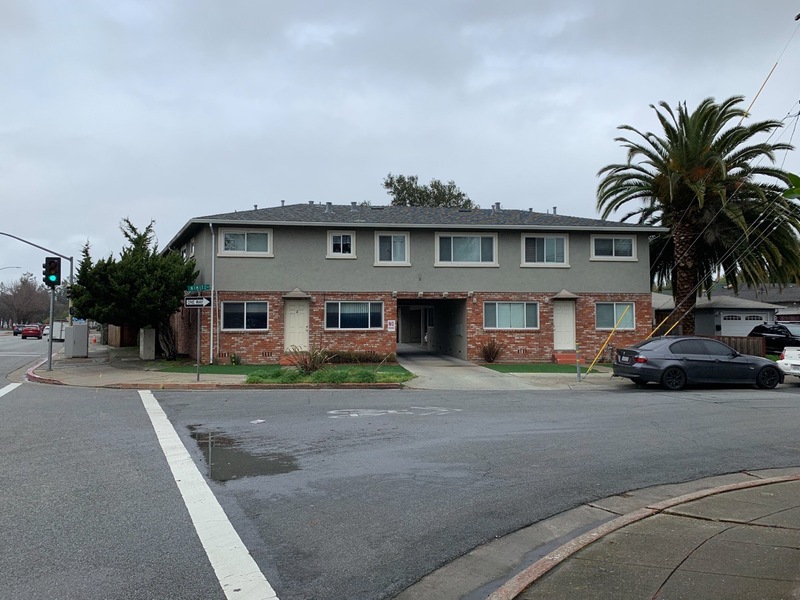 The city limits extend to encompass the above apartment building, but otherwise the homes along Nimitz Avenue — on both sides, in fact — are all in an unincorporated section of San Mateo County. Not far away is Hampton Oaks, another housing development that appears to be of a similar age — although this development doesn’t have a gate. 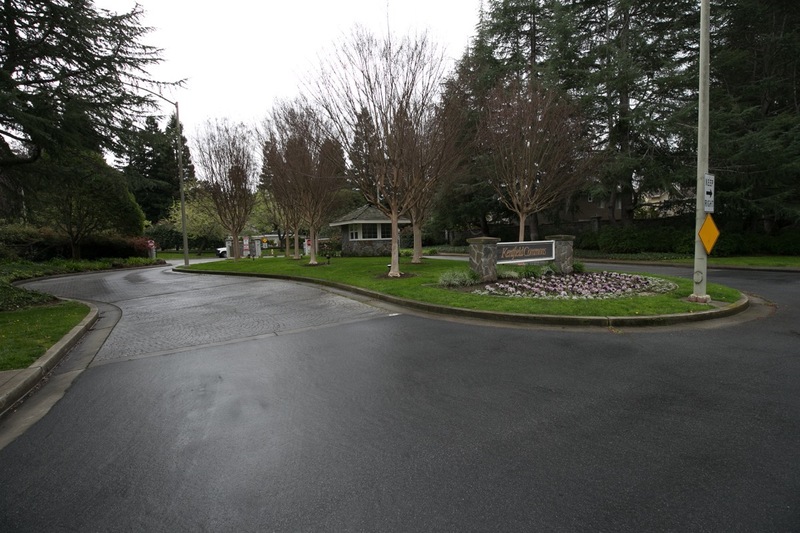 Hampton Oaks also has a playground and swimming pool for the neighborhood; like Kentfield Commons, the residents pay dues to a homeowner’s association to keep those facilities maintained. The Redwood Oaks neighborhood has a number of interesting elements such as this, which are best discovered when on foot. For instance, if you wander down Atherwood Avenue, you’ll get to a point where it bends to the northeast, and there, just before the bend, you’ll discover that there is a back entrance into Selby Lane Elementary, an Elementary school that is apparently built partly on land within the City of Atherton, and partly on unincorporated county land. Regardless of what they are called, it does appear that this neighborhood was a tract development at one time. I still need to spend some time doing the research, so take this with a slight grain of salt, but it makes sense: it appears that in the early 1900s this wasn’t a street, but was indeed a racetrack. Dog racing, it seems. I assume that when the track (if it truly was one) was shut down, some enterprising developer decided to just build homes in the infield and along the edges of the track, and pave over the raceway itself. 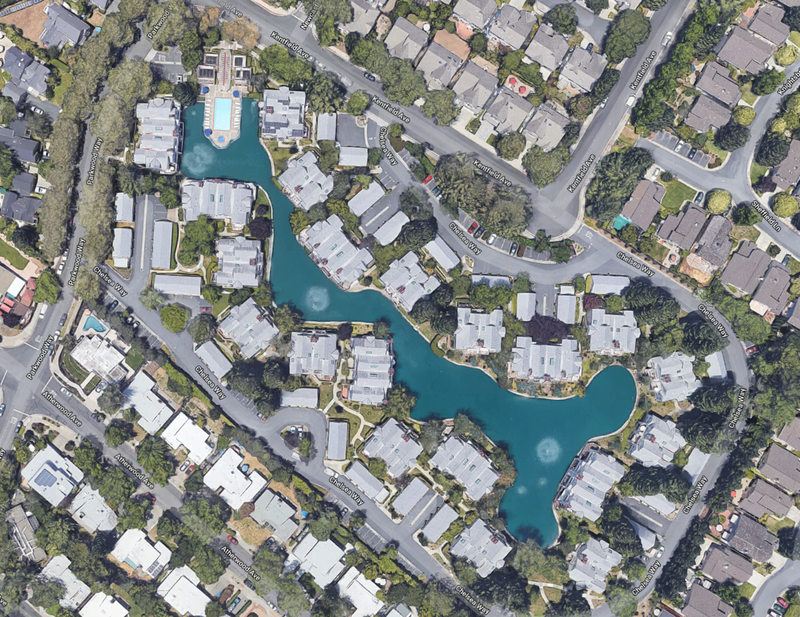 You can of course drive, walk, or even bike along this — Oakwood Boulevard is part of the Peninsula Bikeway that extends from the northern edge of Redwood City to the eastern edge of Mountain View — but it has to be seen from the air to be truly appreciated. When I find out more I’ll write about it, but if anyone knows the real story, by all means add a comment to this post! 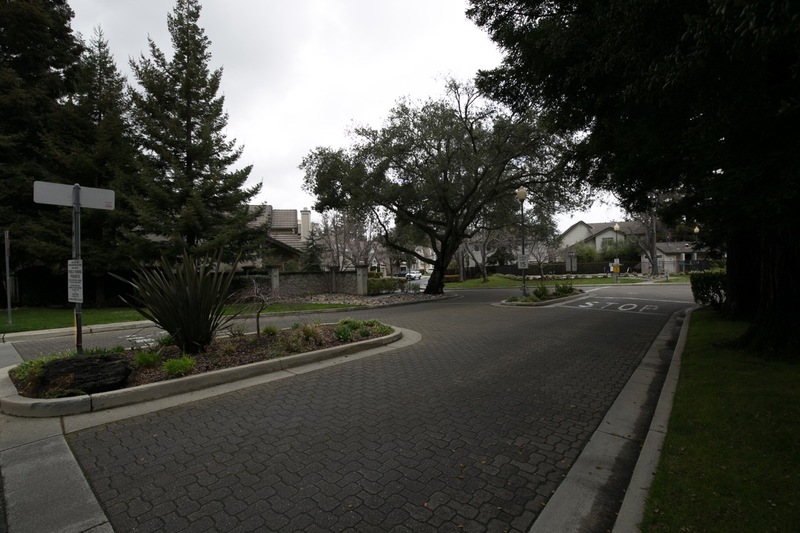 The Redwood Oaks neighborhood has two other special features: it has two parks, both of which are rather close to one another. The larger and more conventional of the two is Fleishman Park, a great little family park with playground equipment, picnic tables, a comfortable grass area, restrooms, and a water feature (which is only activated during the summer months). This is a great little family park, one that I often walk through when I am in the area. I always see families enjoying the park, which is as it should be. Incidentally, this park happens to sit very close to what appears to be a really neat homeless shelter, a converted motel that is now LifeMoves Redwood Family House. Fleishman Park is located on McEvoy Street, but can also be accessed from Locust Street. This park is probably located where it partly because of what is beneath: the Hetch Hetchy right-of-way runs right through the middle of this park. 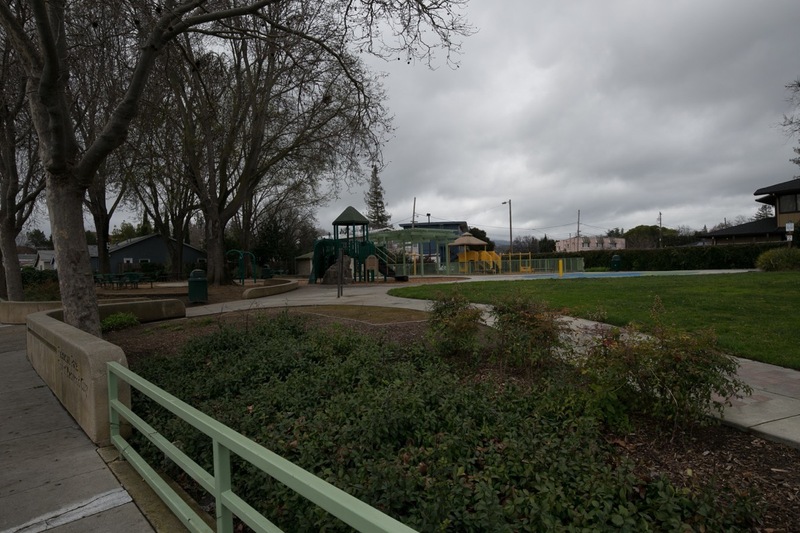 If you follow it to the south — which you do in a roundabout fashion since it runs through the middle of the next block and is completely fenced off — you come to the other public park in the Redwood Oaks neighborhood, Linden Park. 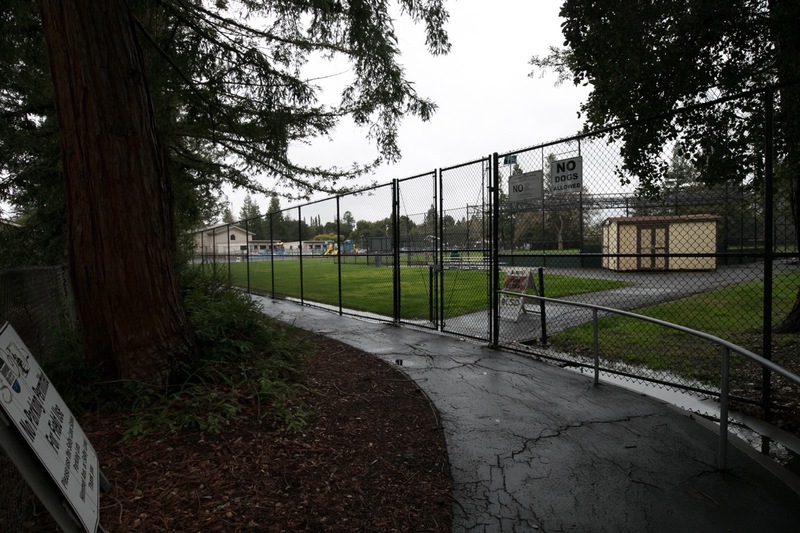 After years of on-again, off-again negotiations, the city finally managed to get approval from the San Francisco Public Utilities Commission, who has authority over the Hetch Hetchy right-of-way, to build a proper park on the otherwise empty lot that for years had been Linden Park. This park is interesting in several ways. For one, it is entirely over the right-of-way, so its shape is a long, narrow rectangle that slices right through the middle of the block from one side to the other. For another, because the park sits above the underground pipes that carry water from the Hetch Hetchy Reservoir just outside Yosemite through Redwood City and up to Crystal Springs Reservoir and to San Francisco, no major structures could be built within the park. Thus, it has no play equipment, only one table, and just one or two benches. But it has a beautiful butterfly garden, a neat butterfly-shaped bench on the western end (on Center Street), and a fun wooden spiral built of small logs set on end, a spiral that kids can walk along and explore. There is also a woven shelter of sorts. It is a really interesting park, one that I enjoy taking a brief rest in when I’m exploring the area. So now you know the reason for that shape! 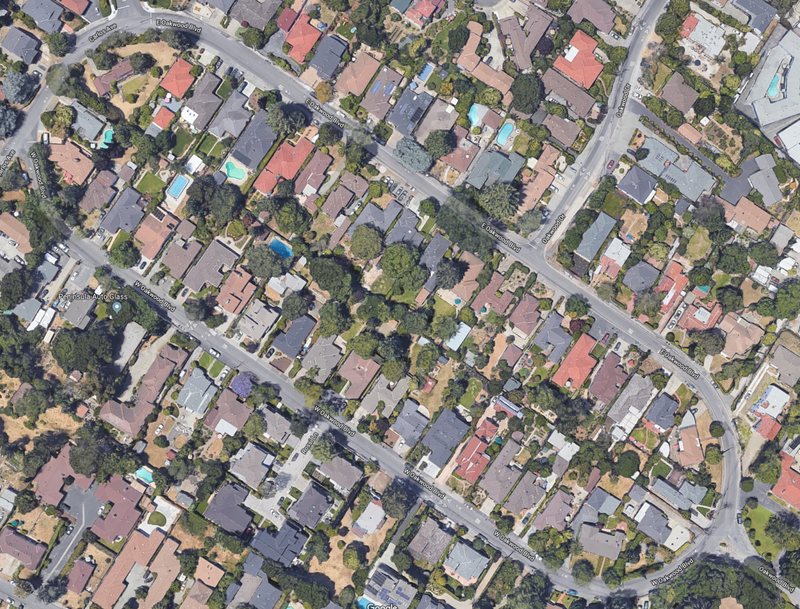 I find the Redwood Oaks neighborhood to be a great place in which to walk; many of the streets are tree-lined, and the houses are of great variety, giving me much to look at. Although the neighborhood’s two public parks are close to the northern end of the neighborhood, and thus likely only serve a portion of the neighborhood’s residents, they’re nice little parks. And the mix of retail and housing that you find in this neighborhood just adds to its variety, and makes it an attractive place in which to live: shopping is close by, and you can be as close to or as far from it as you like. Hello Greg, I am a recent reader of your postings and am really enjoying them. I did not know that Redwood City had 17 neighborhoods. I lived in the Woodside Plaza neighborhood (Virginia Ave) from 1951 to 1974. Back then, for a period of time, Virginia Ave went no further than Redwood Ave and Kennedy Jr High was Goodwin. The biggest thing, as a child, was a field and creek that was roughly enclosed by Virginia, Hampton, Valota & Popular streets. You and your friends (and your dog) could spend entire days exploring the creek, the field (old school house) and the carnation growing operation. Sure, not in the country, but as close as you could get then in that area. I had a chance to go back to live there again in 2000 but did not do so. I always thought I’d go back so the memories will have to do. If I’ve missed a narrative on the Woodside Plaza area, please let me know how I can access it. If not, and you’re planning to cover the area I may have some 1950s era photos. Thanks and good work. Sounds idyllic! I regret (somewhat) not being here back then. Of course, I had my own idyllic childhood elsewhere… 8-). But I’ve been in Redwood City for 30 years now, so I have plenty of my own Redwood City memories. > If I’ve missed a narrative on the Woodside Plaza area, please let me know how I can access it. If not, and you’re planning to cover the area I may have some 1950s era photos. I’ve only written about 9 of the 17 neighborhoods so far, and the Woodside Plaza neighborhood isn’t one of them. But I do plan to get there! I’m not sure when I’ll write it, since I do them at random intervals and I choose whichever one strikes my fancy at the moment. But I’m always interested in historic (if you consider the 1950s historic!) photos and memories, so feel free to email me at greg@walkingredwoodcity.com. John Anagnostou knows the history of Oakwood Boulevard. I am pretty sure he told me it was Mr. Selby’s Horse race track… the palm trees were planted as part of track landscaping. I’m really curious to hear what you dig up on the racetrack history! I live on W Oakwood and was told when we bought our house that it was a former horse track. I have done some research and can’t find anything! These are indeed Eichler homes as Tom pointed out. I happen to have lived in the two that are in Redwood Oaks. The Atherwood Eichlers are the older of the two neighborhoods by about 5 years. With regard to the “dog track,” I was told the same story when I first moved to the neighborhood. While it’s a fun story, it isn’t true. 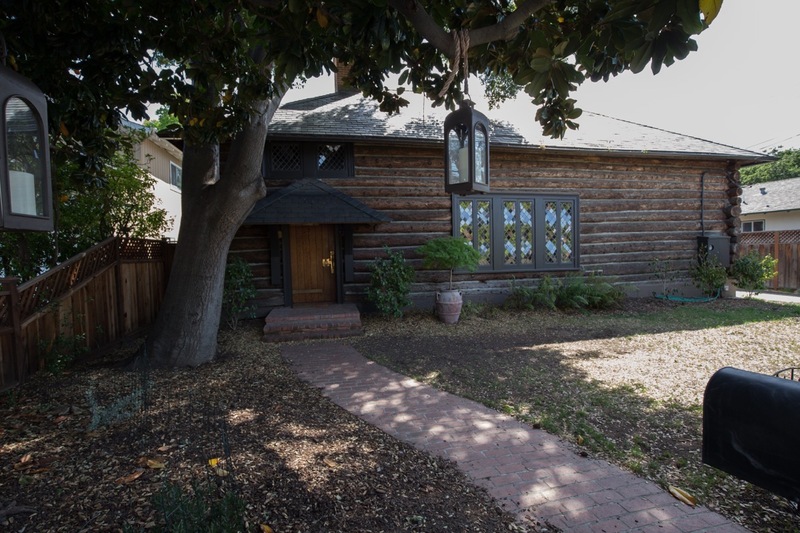 This was confirmed for me by a woman who grew up in the neighborhood long before the Eichlers and most of the other homes, except of course the Henshaw house and the small bungalows along Bonita and the ones like them. The original house on the circle according to Gladys was the yellow farmhouse on the southwest “corner” of the circle. It has additions now so you wouldn’t recognize it as something from the early 1900s but Gladys said this area was their property including the circle drive. It might have been used for racing but isn’t a regulation length track for anything. Another fun fact is that farmhouse was the first in the neighborhood to have a telephone. Happy to share more about what I learned if you’d like to chat sometime. The homes built along Atherwood are early Eichler homes. There were 160 Eichler’s built in Redwood City. 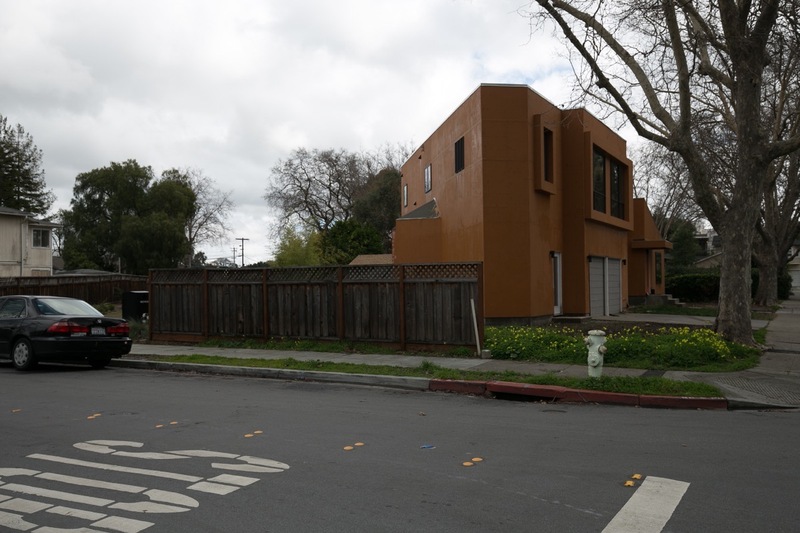 There is another small tract of Eichler’s within Redwood Oaks along Northumberland Ave. Most of the rest are over my Red Morton Center with a few very rare Eichler duplex’s again in Redwood Oaks at the end of Roble Ave. These are all actual Eichler’s not Eichler – esq homes. 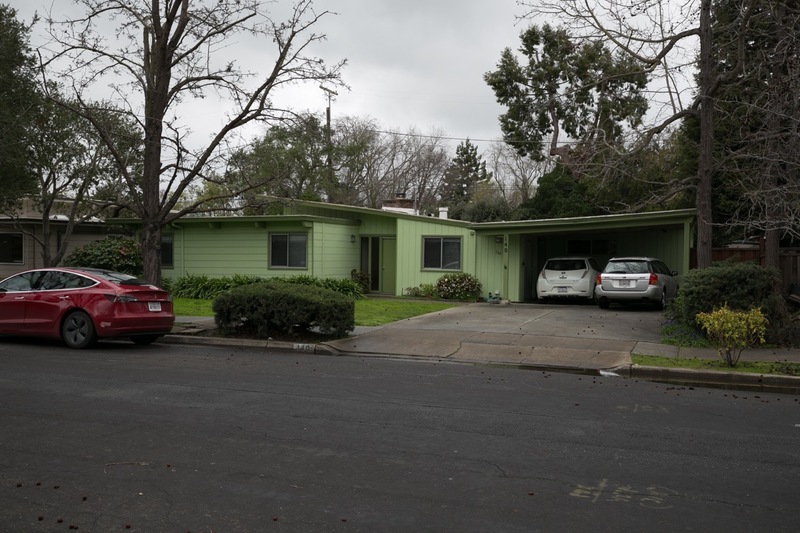 The homes along Atherwood were designed by the firm Anshen and Allen in 1950 who would go on along with two other firms to design many of the other Eichler’s you see around the bay. For reference there were originally 2,700 Eichler’s built in Palo Alto. Excellent! Thanks for the great info. I figured someone out there would know. Glad to know that my instincts were correct. I wasn’t confident enough to say that they actually were Eichlers—but perhaps I should have been!